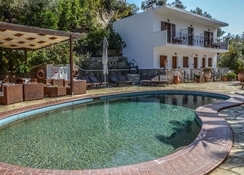 On the small island of Skiathos off the eastern coast of mainland Greece is the relaxed Green Park Skiathos Apartments. Just a stone's throw away from the golden sandy beach the superb location makes this a hotel an ideal choice for couples and families alike. The beach is filled with water sport activities and is just a short walk from popular bars and restaurants. All of the quaint studios in the small complex are decorated typically Greek with white walls and a tiled floor ideal for when the midday heat gets too much. The hotel benefits from modern facilities throughout with a very traditional Greek hosts and hospitality. The Green Park Skiathos is self-catering accommodation although there is an on-site restaurant and bar where you can enjoy traditional Greek food and drink alongside some international dishes and beverages. However there are several nearby restaurants that offer a variety of cuisines to sample along side bars, cafes and supermarkets. The hotel is popular due to its location only being 300 m away from the nearest beach where guests can enjoy the crystal clear sea and water sports. Although the hotel does boast a swimming pool and sun terrace surrounded by vegetation. The Green Park Skiathos is located just 300 m from the sandy beach at Aghia Paraskevi on the island paradise of Skiathos. 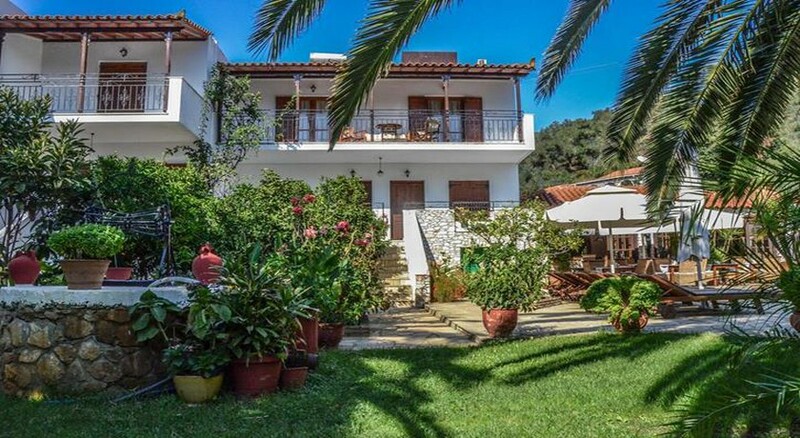 About 7 km away Skiathos town in the middle of the route from the town centre to Koukounaries, this charming 2 Star property offers self-catering Studios with modern amenities and traditional Greek hospitality. Guests to the Green Park Skiathos can discover marvellous beaches, walk to shops, bars, and restaurants, and enjoy a nice range of water sports on the beach. Getting to the hotel: Skiathos Airport is 7 km from the Green Park Skiathos. Local tips: There is a regular bus service to Troulos, Koukounaries and Skiathos Town with the municipal bus stop located only a short walk from the Hotel Green Park entrance. Keys can be collected at the bar. For out of hours emergencies please contact 0030 6948 485 568. Food and activities: Self-Catering accommodation. 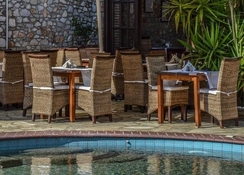 Guests can dine on enjoyable genuinely traditional Greek cuisine at the Green Park restaurant and sip favourite cocktails at the pool-bar. Leisure: Swimming pool, sun terrace with green gardens. The beautiful beach is 300 m away between pines in a green area and offers visitors the possibility of enjoying organised sea sports in crystal clear waters. Additional: Private parking, daily cleaning, within a walking distance you will be able to find restaurants, bars, cafes and super markets. The Green Park Skiathos features 14 self-catering Studios for two that have everything needed for a home away from home in Skiathos. All units have kitchen facilities (fridge, toaster, kettle, essential utensils), TV, safe box, and WC with shower. Air conditioning are available with extra charge, payable locally. Free baby cot available on request.